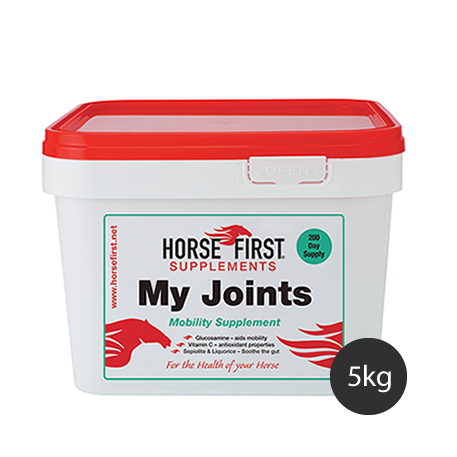 My Joints is a unique formulation of high levels of glucosamine, Vitamin C and sepiolite. These ingredients have a proven effectiveness, we have not included other ingredients which under placebo tests have no proven value. 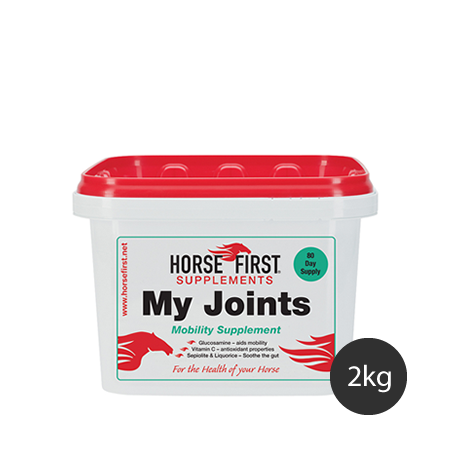 The best nutrients delivered through the most efficient pathways for the most effective results.From top horses competing at international level show jumping to 4* event horses and the aged veteran who is more of a family pet have all benefited from My Joints. 10,000mg of Glucosamine per scoop. 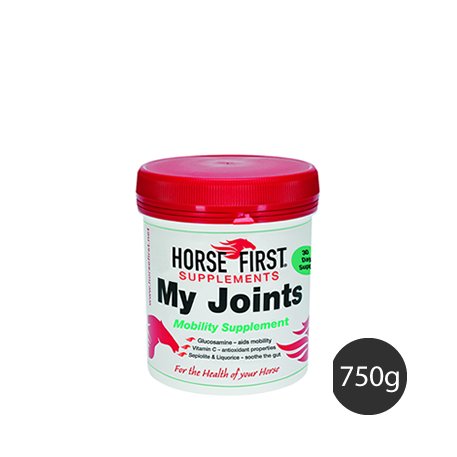 Glucosamine to support mobility and Vitamin C for antioxidant properties. 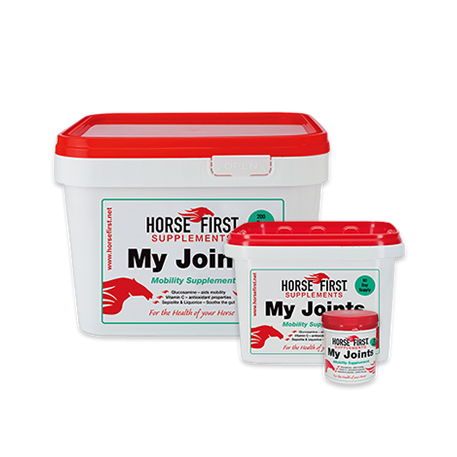 "Support your horse's joint health by feeding this premium-quality, high-specification mobility supplement for the most effective results." 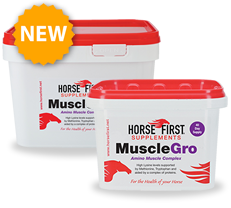 Loading: Add one 25g scoop to morning and evening feed for seven days. Maintenance: Add one 25g scoop daily to morning feed.